A question frequently posed as the medical field evolves rapidly every year is, what is stem cell therapy? Stem cells are raw materials your body uses to create a host of other, newer cells that serve a particular function in different parts of the body. Stem cells have been used in a number of different ways since the cells were first derived from human cells two decades ago; and the results have been generally positive. Stem cells are quite adaptable for use in many different applications. Aside from stem cell therapy, stem cells have been used to increase our understanding of how diseases occur and testing new drugs for safety and efficacy. So, what is stem cell therapy? Today, many doctors and researchers agree that stem cells could potentially be used therapeutically to treat roughly 80 different conditions worldwide by introducing the cells to diseased tissues found in patients suffering from a number of conditions. One such therapeutic application for stem cells is stem cell facelifts. The functional medicine specialists at BioDesign Wellness are proud to offer stem cell facelifts for clients in South Tampa, FL. 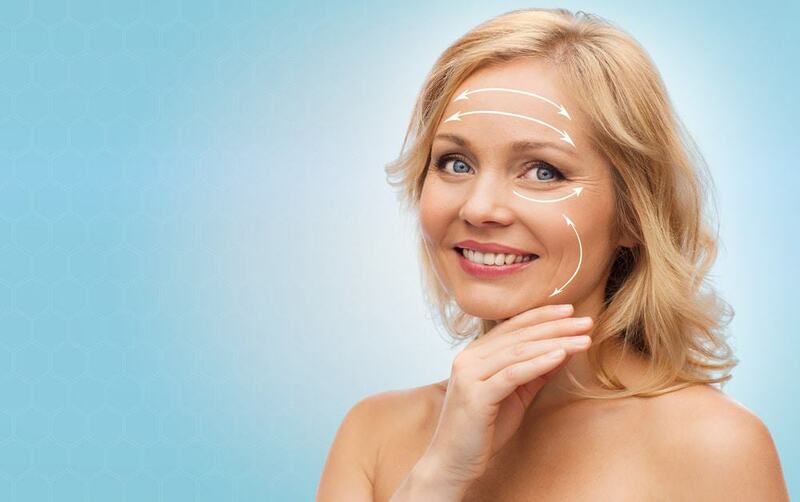 What are stem cell facelifts? There are many different methods available to doctors and patients to reverse the signs of aging these days. One of the newest (and most promising) methods is the stem cell facelift. Stem cell facelifts offer a natural, modernized, and incredibly effective means to reverse the signs of aging through lifting the skin with stem cell injections. It provides an alternative to the older methods that tend to be less effective and work on a more two-dimensional basis. In contrast, stem cell face lifts offer a three-dimensional lift with only local anesthesia, and without scarring. How do stem cell facelifts work? As we mentioned earlier, the stem cell facelift is performed under local anesthesia. It is a complete facial rejuvenation procedure that does not require surgical incisions or direct lifting of the skin. A multi-planer technique is used to transplant fat and stem cells to the face. This mixture is transplanted to bone depth at the mid-level of the face, and again into the muscles and mid structures of the face. Lastly, a third transplant is applied just below the skin’s surface which will help regenerate parts of the skin as well. This is how the stem cell face lift works on a three-dimensional level, as opposed to the more two-dimensional capabilities of traditional, incision-based facelifts. It is for this reason that stem cell facelifts are often considered to be more effective and much less invasive than traditional types. It is also not uncommon for stem cell facelifts to fill in as a more permanent solution; often times reducing or eradicating the need for Botox. Why should I get a stem cell facelift? Stem cell facelifts are a modernized and more permanent solution to traditional facelift techniques. Many patients may be uncomfortable with “going under the knife” when it comes to reversing the signs of aging with facelift procedures. Stem cell facelifts offer these patients the type of less invasive procedure they seek, often times pushing better results. Talk to your doctor to discuss the risks and benefits of stem cell facelifts. The procedure has a very low risk when it comes to leaving the patient feeling plastic or overdone, which is a common concern of many patients seeking age-correction therapies. To schedule your stem cell facelift with the functional medicine experts at BioDesign Wellness in South Tampa, click here or call us at 813-445-7770. We can’t wait to help you feel better on the inside and look your best on the outside!